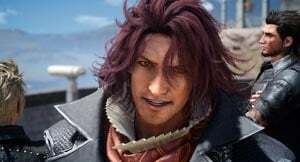 Ardyn Izunia is a playable Character in Final Fantasy XV. Chancellor of Niflheim. Ardyn rose to power by introducing magitek infantry to the ranks of the imperial army, and has since amassed political power at the emperor’s side. An aloof manner shrouds the chancellor in mystery. Combat skills and mechanics, roles and strategies for Noctis go here.